Imagine the possibilities... 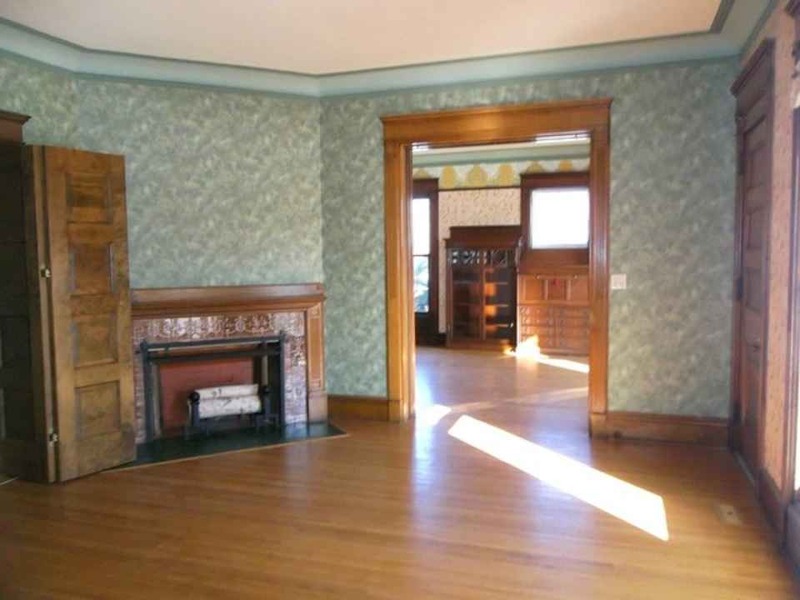 Stately property in Dixon offers original woodwork, wood floors, updated kitchen, 4-5 bedrooms and 3.5 baths. Over 15,000 square feet, 2 auditoriums with stages, working elevator, and much more. This property is zoned R-3. Potential buyers are advised to confirm any potential rezoning with the City of Dixon. This property is one of a kind! Property sold "As-Is". Thanks Paul T. for sending this in! Ah, so this is much older. Thanks for the info. Do you know which house in Utica, NY it is supposed to be modeled after? I am from that area. I am trying to think of which house it could be but I am coming up with nothing. Thank u kelly for posting it. It’s truly a one of a kind property. Pics don’t do justice. What an interesting, incredible house. With not just one, mind you, but TWO auditoriums with stages? Wow! Geez! Zounds! NOTE: That staircase is certain evidence that buried inside this sprawling pile is a much older house. Crazy place. 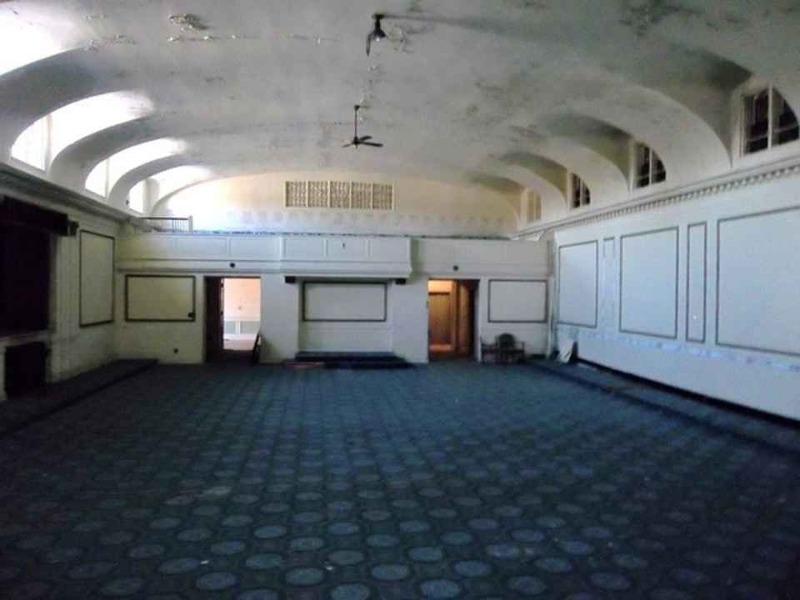 Was this being used as the Masonic Temple with 2 ballrooms and 4-5 bedrooms but 15K sf? The ballrooms make sense. But what were the bedrooms needed for. 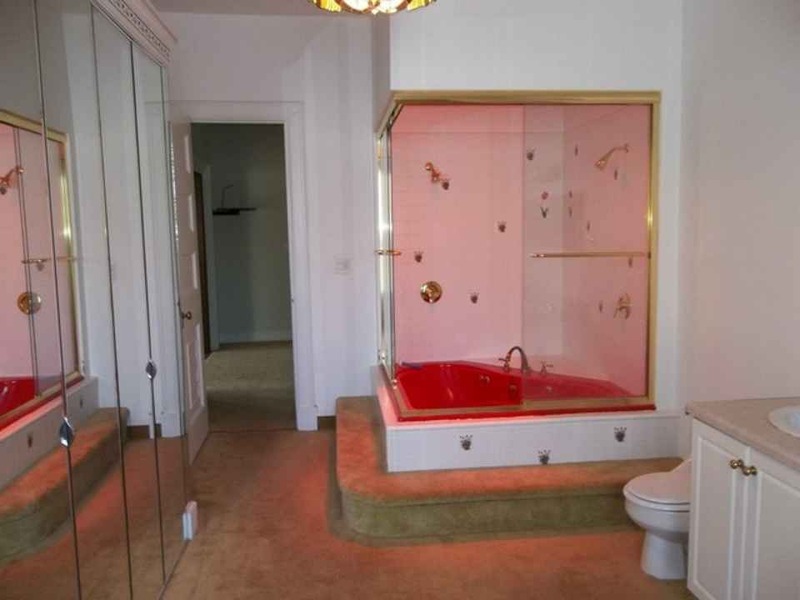 The red heart shaped bathtub looks a little suspect for a Masonic Temple use, no? Maybe the Masons know how to party a lot differently that I would have thought. So neat! Hideous bathrooms and kitchen, but everything else is the stuff my dreams are made of! I think this would be a GREAT place to set up, and hold lavish weddings !!! 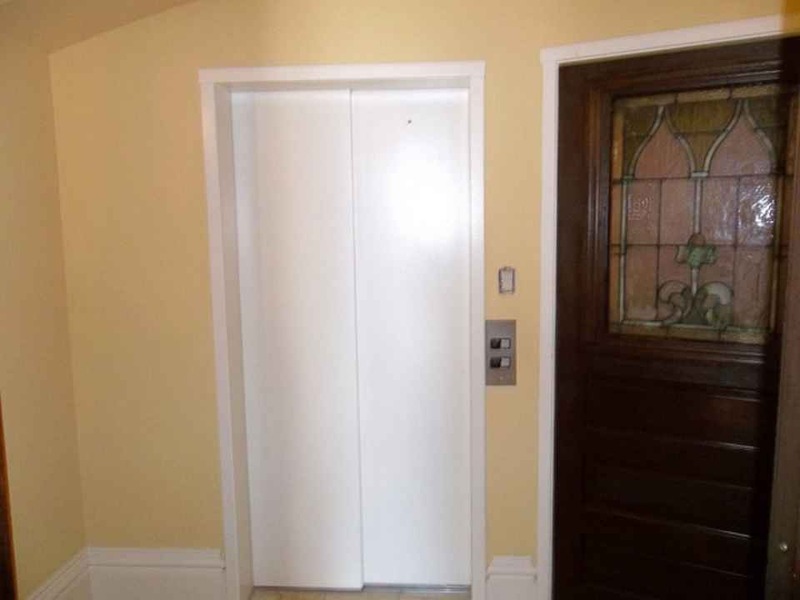 It diffidently has the space to hold ALL of your wedding needs. I was thinking the same thing. There are countless small business which could well occupy the double ballrooms, with the owners living right next door. So, instead of a classic living-above-the shop situation, one could live-next-to-the-shop! I mean, Steve Jobs would have killed for this place in 1976! The place would be IDEAL for my business. I actually LUST after it. Oh, and I agree that the place seems ideal for weddings! It even had the requisite grand stair! It would make a great funeral home! For the price that is being asked, this home could be considered a bargain. Yes it obviously needs work and would be hideous to heat but what a grand home it could be again. At $13.88 per square foot asking price this place is a steal, in my opinion. This would be a great Art Center for Ballet, Music, Theater, Art(Paintings),Perhaps Dinner and Theater…. I am shocked it only has 4 bedrooms. The mansion at one time had a west wing. 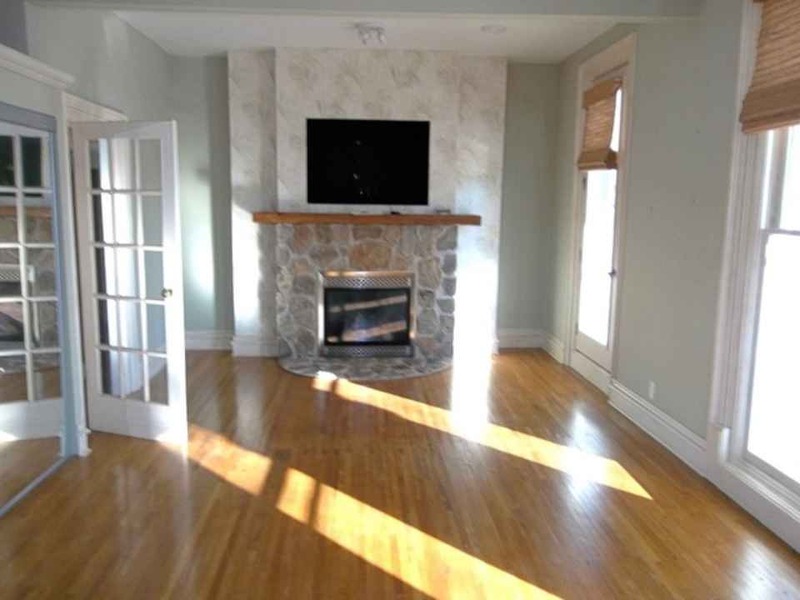 Which had three more fire places. So the mansion probably was a 6 or 7 bedrooms. The west wing was torn down in 1929 exsisting foundation of the west wing was used to build the masonic temple. I remember walking through this place years ago when I briefly lived in the area. The large public areas are in the brick addition the Masons put on the back. At this price, I’d probably knock all of that off and have a large older home on an acre a block from the riverfront. 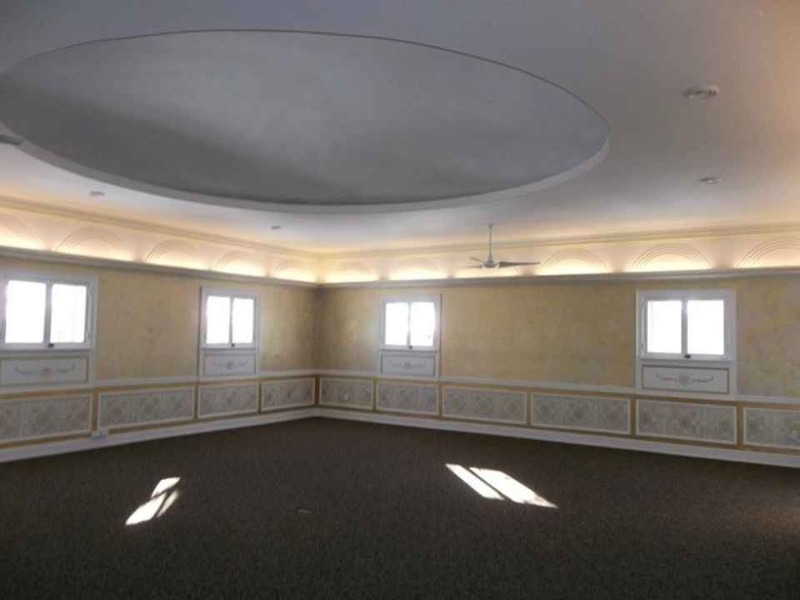 The double auditoriums are an extraordinary aspect of this unique home. Would you really just throw them away? Removing them would cost $$$, too, as would rebuilding the rear wall. But, there are other properties in Dixon for less money near the river. So, why not just buy a different house, rather than significantly diminish this unique home? NOTE: I understand that this discussion is academic. Ross, this is a classic real estate white elephant, and big old Masonic halls around the country are often torn down because they don’t adapt well to other uses. Commercial real estate experience tells me this isn’t a viable property for the uses mentioned – expensive renovations and utilities, not enough parking, residential zoning, etc. This isn’t an area that has much demand for large public spaces and there are other event venues around. Maybe it could survive for a time as a business location, but zoning is going to limit the use to something very quiet with low traffic. I think the best chance of saving the house, which is a historic resource by itself, would be to restore it without the halls. My concern is that the whole thing could be demolished for new construction with an attractive in-town location. I will concur that your reasoning has merit. However, I refuse — stubborn old house fool that I am — to support the demolition of the way cool aspects of this house. As I stated above, this home would be ideal for me. Vastly better than the big pile I recently purchased! My personal life and my business would happily — ecstatically — occupy this home. And there would be no issue with parking or other zoning issues (my business is wholly internet based). As I stated above, I can also think of many many other small privately-owned businesses for which this house would be ideal. Living above the store (or, adjacent) is an old tradition. The WHAT of this house is extraordinary. I mean, how many houses have double auditoriums attached?????????? I know nothing about X zoning restrictions which would affect this house, but if it is already zoned for Masonic Lodge use, I would be surprised if it was not, as suggested above by others, also zoned as a wedding venue or other non-residential uses. PREDICTION: If this unique house were to somehow become nationally known (via, I dunno, by becoming a YouTube sensation) I believe it would sell in ten seconds to a family with a small business, a family which would cherish the house As Is (but restored of course!). Jim, you see the attached double auditoriums as problem which should be lanced off. I see the auditoriums as an invaluable asset. The house, reduced in scale, will still be be a Very Large House. And most buyers demure from Very Large Houses. But…retaining the double auditoriums may well prove to be the salvation of this house. For, they allow for possibilities which justify the whole. You know, this would make a perfect funeral home… With an apartment upstairs. My husband and I have 8 kids…this would be an amazing house for us! I own my own photography business…what more would I need for a home studio. This is amazing! I love old houses but this just pulls at my heart! Absolutely breathtaking! Our family would be in “personal space” heaven! I’d move tomorrow! Love this house. I want it. Can I buy it now please? I think this place is amazing. There are so many possibilities. As an entrepreneur my mind is really whirling. I could see myself and son living there and running a successful business. Where the heck is everyone coming from on Facebook?! This one house has had over 500 lookers every time I check, over 25,000 page views today so far. Facebook doesn’t give me any info on where, just that people are coming from Facebook. Well it is Halloween week, maybe they are hordes of “Facebook Zombies”…25,000 is an incredible number for one day. Congratulations on the impressive numbers. I saw it liked by a friend…maybe the Realtor page (I can’t find it now). Dixon is not to far from me. 🙂 Now I’m searching all the other homes you have in Illinois! Katie, Go to Realtor.com, click on foreclosures, I believe it’s listed there. My friend is a realtor in IL and she shared it. Thanks Katie and Mary. So I guess just general sharing among friends, etc. This house has had over 42,000 views today (and climbing!) I hope one of those will be the one to buy it and turn it into something fantastic. ppl are just posting it because they find it so beautiful that all so hence all the lookers. Friends and I are looking at it here in Canada’s West. Hi! We’re just shocked at the price of the house. Trailers don’t go for this cheap .. and THAT is why we keep looking at it. We are discussing the possibilities … unfortunately, someone has mentioned that it has already be purchased? In my case a friend posted it. I imagine that it’s gone viral and people are sharing from others who have shared. This house is down the street from us and I’ve often wondered what it looks like inside. I missed the real estate open house and hoping they have another one sometime. What I would like to know now is, when it was built in 1864, why did they include 2 auditoriums? I can see one to be used as a ballroom, but 2?? Wish we could afford to buy it, and I hope whoever does buy it can see the beauty underneath and restore it as it should be and not chop it up into offices or apartments. The ballrooms were used by the high school for homecoming when the Masonic’s owned it. Someone bought it from them and redid the mansion part of it. They always thought about turning part of it into apartments, but the cost was too much for them. The Mansion was very expensive to heat, they would close off the ballrooms to help but it was still a lot of money. 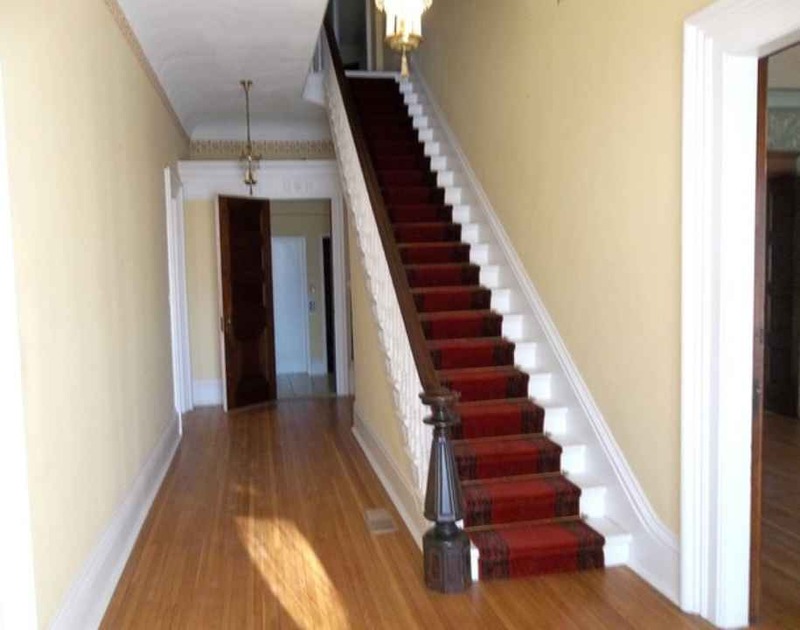 Have you checked for any cool documents left in the cavity in the post at the bottom of the red staircase?Customary for the families to put the deed to the house there, probably a panel in the bottom of the post that pops out, just curious. Is this space available for use or rent for location shooting until it’s sold? You’ll have to contact the agent to find out. Details are in the info box above all the photos. It would be a great SPA/Yoga and Retreat center/ bed and breakfast (if you added some more rooms in the unfinished area) Both auditoriums would be great to hold classes in and even accommodate weddings. I was in it a couple times and it was BEAUTIFUL and well cared for by the owners. Is this house still on the market? It’s still showing active on the agents site but if interested then you should contact him to be sure. Hi, Kelly! I live in Dixon, IL, where this wonderful place is located. I’ve always wanted to see inside, so I must confess I’ve been to your site three times today to look at the pics and video. My husband, who has been inside, also wanted to see the pics and videos. I can’t even begin to tell you how many people are sharing this on facebook. I think we all are curious to see one of the treasures of our community. 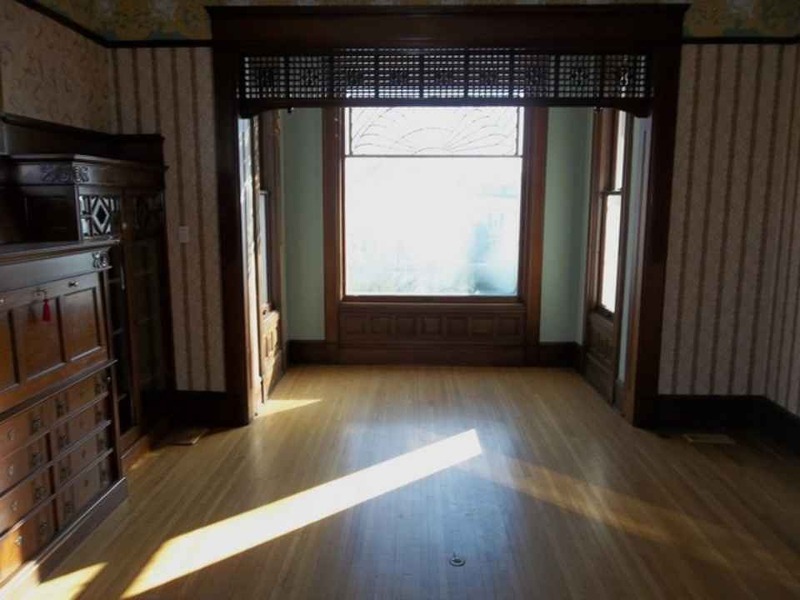 Just over 65,000 looked at this house on the site today (as in Oct 29.) Over 10,000 Facebook shares/likes! Well, who would have thunk? does this place have a yard. Wish there were pictures of the back of the home and property. This has no yard to speak of other than what you see out front in the main picture. There is grass out to the side walk from the building out on the left side of the picture and on the north side. The rest of the building is brick, I believe, looks like a business. Only the front resembles a home. Oops, I meant the right side of the picture as you are looking at it on this website. Maybe 25 feet or so. There is also several entrances to the building from the east side of the building. This Mansion would be a nightmare to restore. I agree tear down the wing, save the house. Not sure it would be worth the trouble. As a general rule whatever you estimate the repair cost double it. So many renovations never finish due to overages. This seems to be case and point. You see the attached double auditoriums as problem which should be lanced off. Use Google Maps with the address, then go to “street view” . You can circumnavigate the whole block! If I had the money, or win the lottery, I would so buy this house and convert it to a no-kill animal shelter. There are more than enough rooms to make it happen. I would also live there, maybe have some on-site help live there, too. Now, if only I could hit the Mega Millions jackpot, I’d be set! Restore and make it a place to hold weddings/receptions!! Awesome! I was wondering about the back yard. There is no pictures of it. Is there a pool on the premises? Is the back yard fenced in? 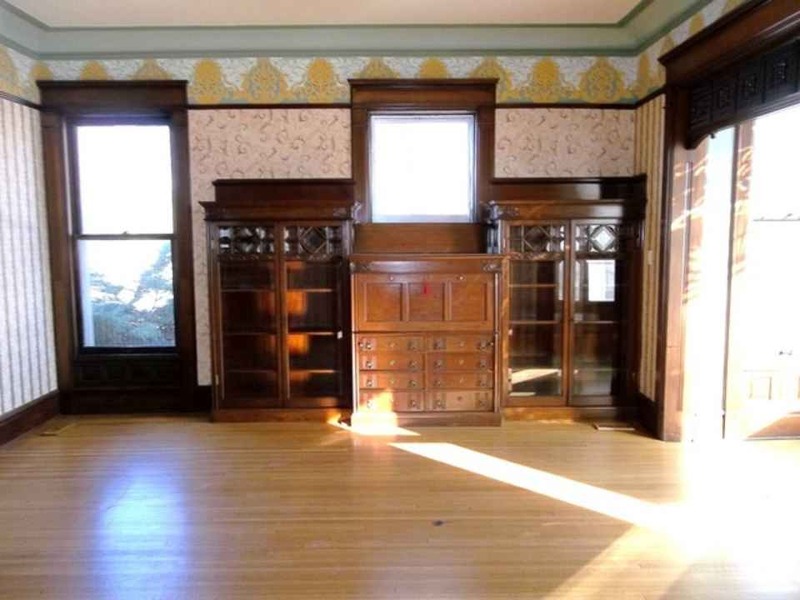 I love this home and all the possibilities it could bring to Dixon and the home’s past beauty. I envision the renovation costs – if done correctly – to be a huge expense, but necessary because if you are going to restore it, you need to do it right. My suggestion would be to pitch this project to the TV home renovation and style personality shows: This Old House & Home Time and also to many designers such as Candice Olsen. Then, they’d first do TV shows on the renovation – with costs defrayed by businesses providing the materials and expertise (This is Season One.) Next Season uses multiple decorators who are each given one room or area but they must “compete” to a panel of historical experts who’ll keep the integrity of the overall house as their guide. This is when the old is combined with new innovations (for example, if the renovators of construction tackle the heating/cooling problems as well as the structural issues, then the designers deal with updating lighting, fireplaces, storage, etc. while still maintaining the materials and charm of the house.) Of course, landscapers would deal with the outside issues. PBS could deal with promoting the history of Dixon, Pres. Reagan, the river, the house’s history. 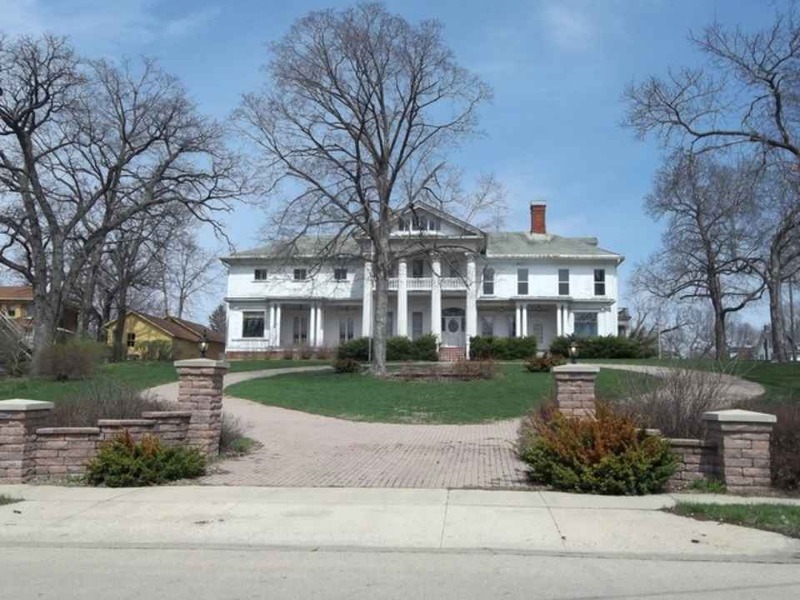 First, Dixon would need to commit to what would be done with the house – will it become a personal residence that also functions as a business (thus being maintained privately and taxed to help the City of Dixon), or an historical building maintained by the City and used and maintained with public funding perhaps, or who knows what other possibilities might be presented,etc. Just brainstorming early in the morning after a first viewing of this site, so my ideas might work with the right people in charge, or they might be dismissed as half-baked. Either way, it was fun for me to daydream. I keep thinking of that Joni Mitchell song, “Big Yellow Taxi.” “Don’t it always seem to go, that you don’t know what you’ve got till it’s gone; they paved Paradise – put up a parking lot.” What a great opportunity Dixon has here to at least investigate the options for long-term and not just a quick sale of large, “as is” house. Best Regards! I think the PBS “This Old House” could do wonders, and be well done, and accurately to the period, with current updates. I love the floors, and the built ins. I would love to see the house in person, and WISH I could afford to treat it kindly and then to live in it. Saw this on Facebook. This house is nearly my dream home. Beautiful! And for the size and history, I agree that this price is a bargain. Wish I could see it! 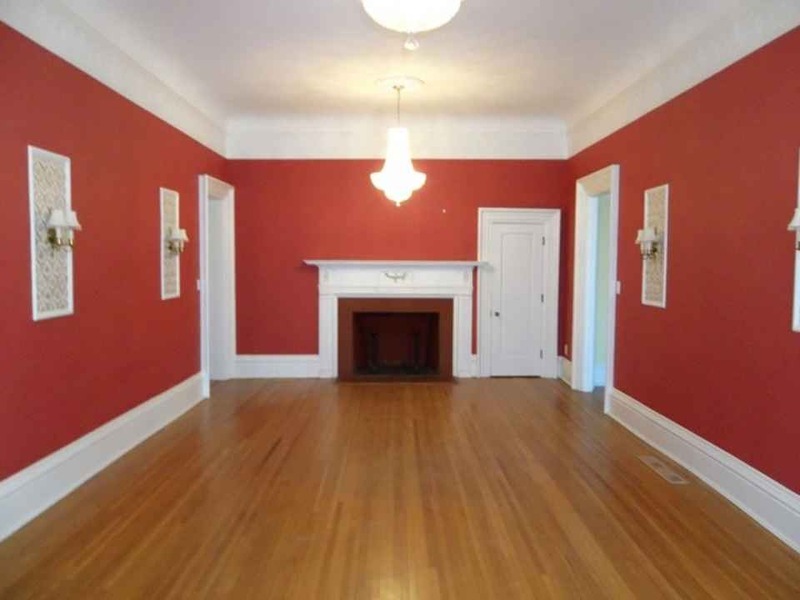 If I had the money I would just move right in and call it Home what a wonderful house this is I truly love it just the way it is a little paint here and there and maybe refinishing some of the floors wow what a great place ! I’m very interested in this home. ..just wondering if the construction is still underway ? I was one of the auctioneers on the personal property portion of this home. It is amazing, spooky, and intimidating all at once. 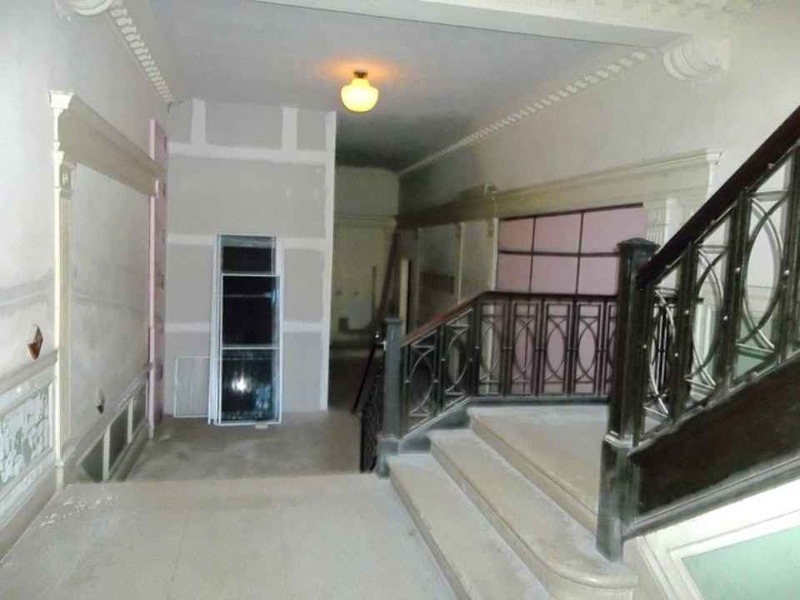 Very interesting property that will take LOTS of money to finish, the video does a nice job of hiding the sights, smells, feel of this huge place. It was an interesting day at auction with a lot of people coming just to see what the place was like inside. The walls on the stage in the auditorium almost speak to you. Was a very cool experience to be apart of! I wonder what the repair cost would be if union quality workers were hired. Would it hold the value of reno costs? Oh boy what is the price tag for “former glory”? Winning the Mega Millions I’m sure would cover that cost nicely. Carpet in a bathroom is never a good idea? You could take out the carpeting. I probably would. If I had a spouse (therefore a 2nd income), I would love to buy this house and turn the auditoriums (at least one of them) into my dream daycare (I am a family daycare provider) — separate from my living space (whoohoo! ), yet usually allowed, even in strictly residential areas. Oh, the stuff dreams are made of. But on just my income, I could never afford the upkeep of the home. 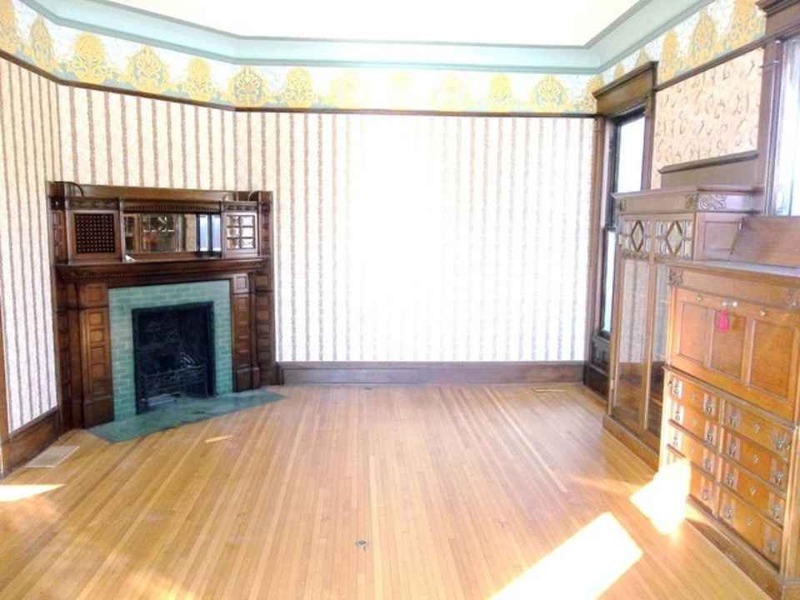 Sigh… I hope the right buyer finds this house and restores her to her former glory! Wanna get married??? HaHa. Just kidding. But it’s funny that we both have a similar dream and no money to do it with. If I win the Mega Millions jackpot (again, HaHa!) I would buy this house in a heartbeat and turn it into an animal rescue. The auditoriums would be great cat and dog rooms so as they’re not roaming the entire house. Plus, it looks like there’s lots of land which would be great for the animals. I’d love to go to the kill shelters and adopt those on death row to bring them home to me to live. In our dreams, right? We have the same dream, Jennifer! If anyone has read the Nora Roberts book – VISION IN WHITE – you will envision this being the house in the book. Reading the series right now and that is exactly what I was thinking!! What a beautiful place it would be. Wow! Quite the property! I’m from Canada and our prices up here are a bit higher for a comparable listing (if you could even find one). Most buyers do not want a VERY LARGE OLD HOUSE. They are expensive to maintain and heat/cool. 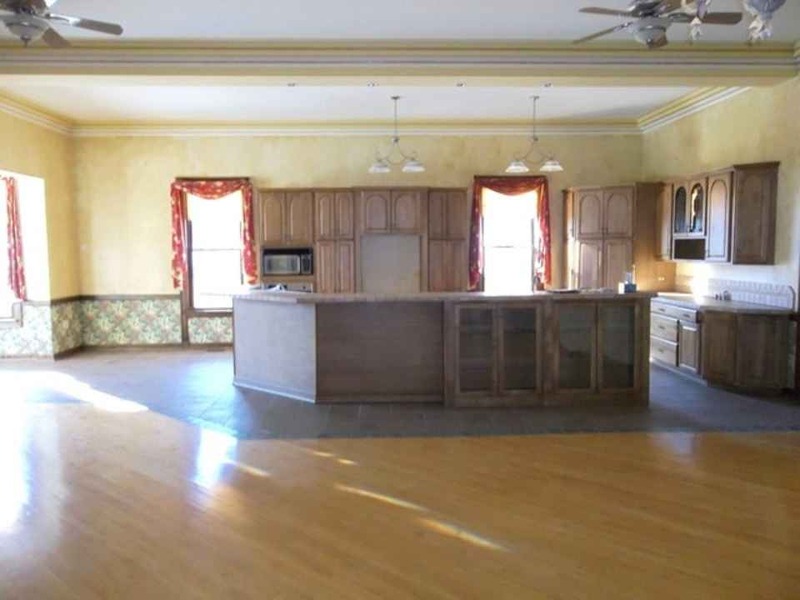 Also, how many buyers need a very large old house with TWO auditoriums? 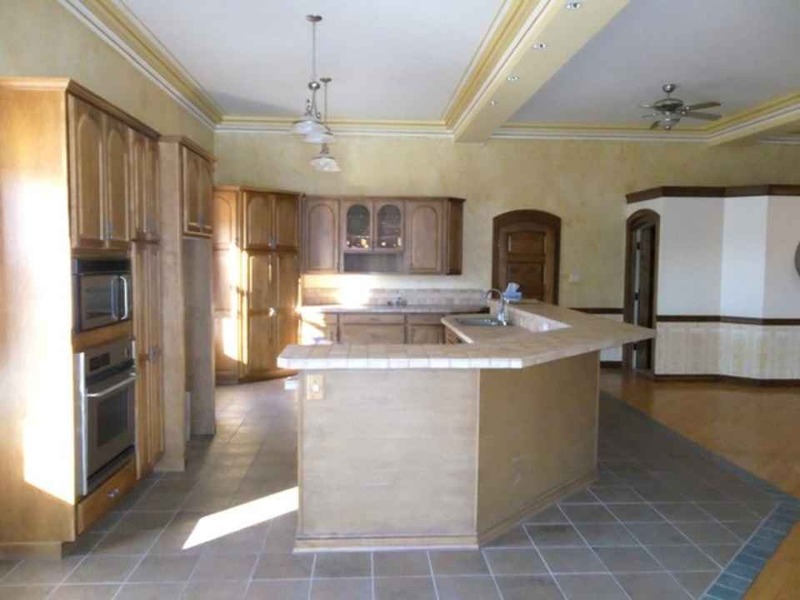 But, if you NEED a very large old house, and have a use for the double auditoriums, and can afford to maintain the whole, and heat/cool it, then this is an incredible property. What are the heating/electric bills like in a house this size? High. This would be offset by the low purchase price (low mortgage). Why is the list price so cheap?? Is there any acreage that come with the property? For 160k I could definitely relocate. Seems almost too good to be true. If all that’s wrong is cosmetic…..? Several people have commented on the size of the yard. There is a HUGE front yard. One could create a gorgeous garden but there would be no privacy. There is a narrow but LONG side yard (east). I would plant a privacy hedge along the sidewalk and create a stunning garden here. In the back, there is a parking lot. I would replace this with a driveway to the garage, and a private fenced garden. This is not a house you buy for the land; this is a house you buy for the house. There are two riverfront public parks…and a sorta waterfall!…a block away. Is this home on the National Registry of Historical Homes? My sister is an amazing architect, I am sure she would love to get her hands on this! I agree with those that say to tear down the auditoriums. They are in no way cost effective, spend the money renovating the actual house and do an amazing yard with the space left by removing the auditoriums. I’m thinking Bed & Breakfast. Rentals for weddings/receptions/proms etc…Beautiful and if I had the money would definitely purchase! Is that staircase 3,5 and 7 steps? It’s my real life SIMS house from the game I swear to God! Playing Powerball and Megamillions for sure. It’s beautiful! i desperately want to see this home ! I’ve called twice with no return calls! I am VERY INTERESTED IN PURCHASING IT! It would be one heck of a recording studio! I’d definitely want to use it for that purpose. I have fallen in love with this beautiful home, the history has interested me even more. My freshman year of high school we had our homecoming dance in one of the ballrooms in this house. It was amazing! This place could be purchased by the city and fixed up by HGTV/house fix shows, and given to a family with 10-15 kids/adopted kids/group home. The unfinished space could be made into more bedrooms if needed and wheel chairs could get in the back. The kitchen is big enough to have 3-4 tables and room for wheel chairs. 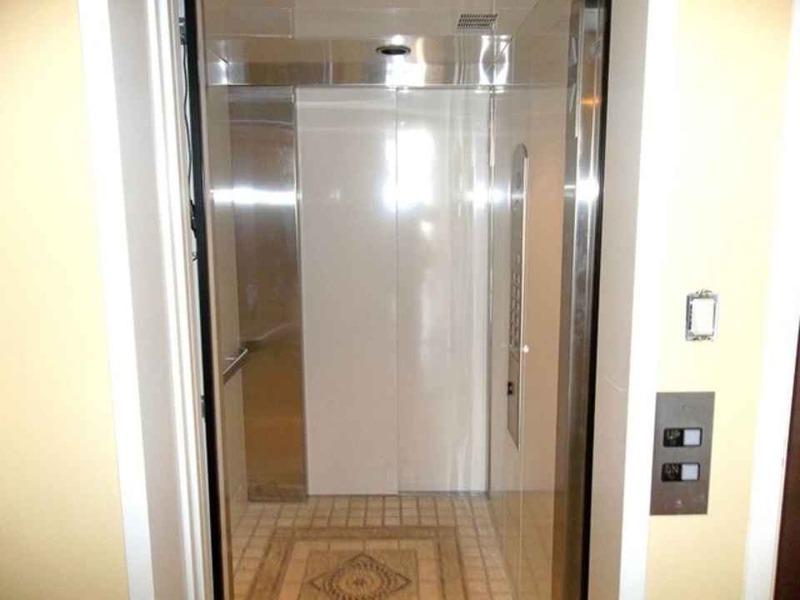 The elevators allow for handicapped access. 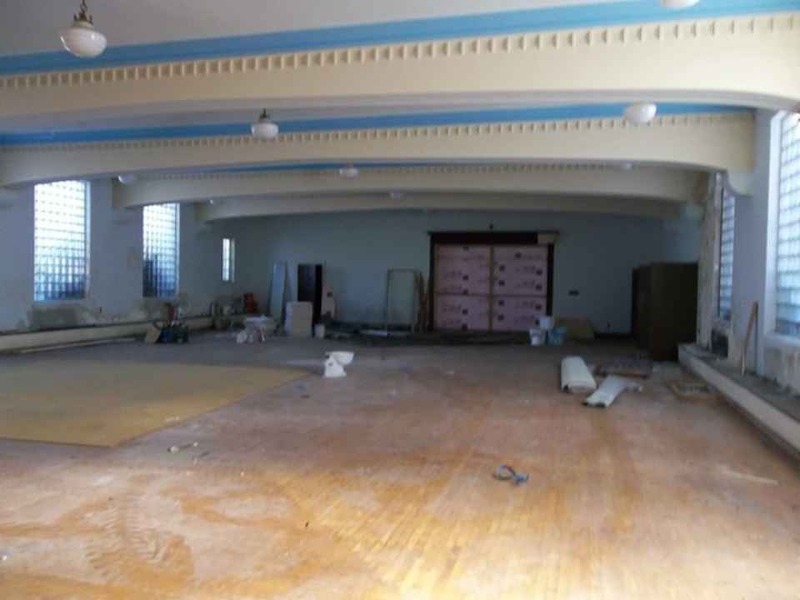 The ball rooms could be made into game/play/therapy/dance/volunteer/tutoring/tv/exercise/restaurant rooms. They could raise money by opening a pizza restaurant on Fri and Sat nights. The community/neighbors could help out and it would be a great neighborhood gathering center. Churches and civic groups/school volunteer groups could help out too with cooking, laundry, gardening, etc. Maybe scout/youth groups could have camp-outs in the big rooms with mattresses on the floor. I’m not sure if there is outdoor space for an organic garden, but tower gardens would work too. I heard this on NPR this week and here is the concept for food. http://www.npr.org/blogs/thesalt/2014/10/26/358573906/an-unlikely-friday-night-pizza-caf-in-cinicinnati-has-a-big-heart. Dreaming big. Win the lottery an I would by it. I own a small quilt shop in south-eastern WI. We have been sharing this link with friends. Quilting retreat centers are very popular and the number of customers that would come for a week at a time would fill both ballrooms. Alas, as a startup business this would be stretching it for us. But with a Kickstarter online we could possibly swing it. I am a Past Honored Queen of the International Order of Jobs Daughters and have many fond memories of our meetings and many Masonic events and social gatherings in this Masonic Temple. Is is, unquestionably, the most beautiful Masonic Temple I have ever been in in my life….and I have been in a large number of them over the years. I can not imagine the cost of keeping it going as a residence. One would need to put a business into it to have the cost of the utilities qualify as a tax deduction! It also appears to me that there is quite a bit of time and energy that would need to be put into it to bring it though all that has yet to be completed. A lot of work yet I an assure you, an amazing property set up high on the land. Zillow and Realtor.com: Sold on 12/15/14 $60,000. That’s $4 per SF. $60K? Geez. What a deal for somebody. I love this house. Thanks Jim! At more than 200/sq ft here in Denver I am in total shock!!! 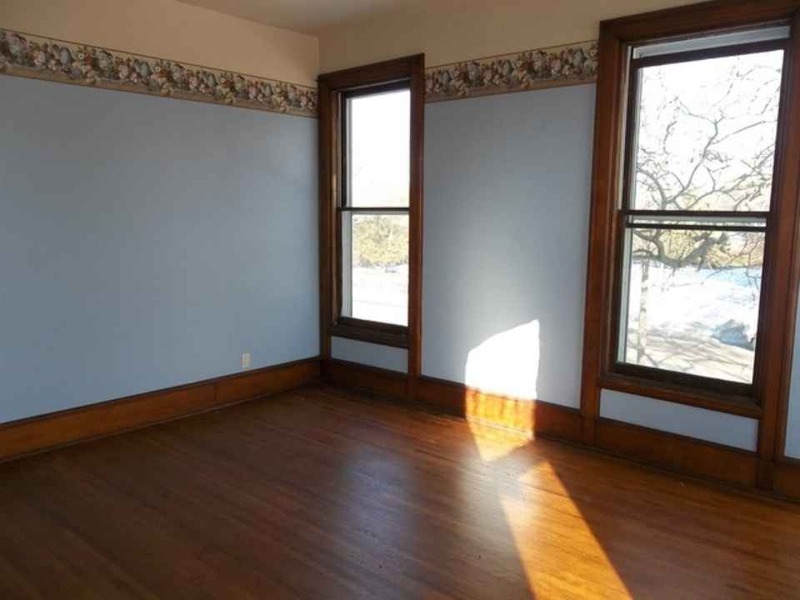 Zillow isnt right. The place sold for 180,000. The person that bought it has a company called liquated and salvage. I talked to the realtor and the realtor said the buyers are going to restore the place and use it as a summer retreat for his family and friends. But when i found out what business he is in.. but then again buyers can say that but could have other intentions.i have my doubts. I hope the place didnt get stripped or torn down. If anyone lives in dixon and can confirm what is being done to the place i would appreciate it. I truly hope it is being restored. I live in west of chicago and saw the place four times when it was listed. Its truly a unique and beautiful building. I live in Dixon, but didn’t realize this had even been bought, until I went to look this up for a friend of mine who is selling property in CA. Anyway – I haven’t seen any exterior work going on or any unusual activity around the house, but there’s still snow on the ground, here. I’ll keep an eye out and report back. I really hope they don’t strip it and demolish it! It’s a town landmark, and we’ve lost too many of those in recent years. SHEL F I found out the person that bought it is in the savage and liquidate business. I’m too hoping it doesnt get stripped or torn down. It’s a beautiful property. Please keep me updated if u see any restoration Going on this spring or summer. Or if u notice the place being torn down. thank you. We almost got the place but then was beat out and this person got it. Paul T. We passed it tonight on the way home, and there were lights on in the front part of the house. It looks as if someone is actually living there. So I have my fingers crossed that they will love and restore the place, but I’ll keep my eyes open. Shel F. That sounds like good news!. 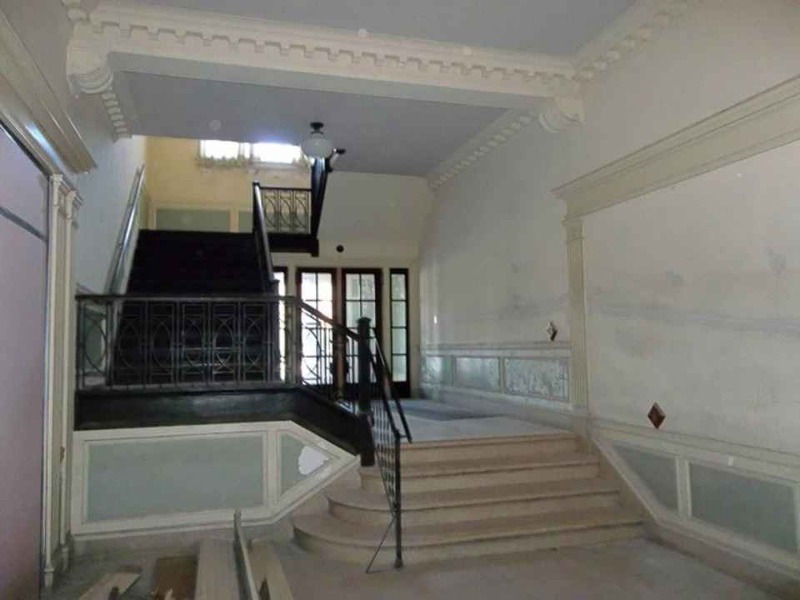 Hope restoration will be done on the outside as the inside of the mansion was in really good shape.. The masonic temple part needed the most work. Thanks for the update! Paul, I have to go by there today, I’ll try to get a picture for you. I *think* the column has been replaced, but not sure about the roof. I see lights on every now and then in the building when I pass late enough in the day, and they had caution tape on a section of the front porch a while back. But other than that, I don’t know much. My daughter and I looked extensively at the outside and what we could of the inside through the windows. The outside is missing both porches and one collum is still laying down. The inside looked pretty decent. This building now requires twice as much TLC as it ever needed before. What a shame. I haven’t had time to stop – just observe in passing. I also have not seen any signs of life there, but didn’t notice the paper that Susie mentions. Paul, maybe it would be worth your time to re-contact that realtor? The paper is about the size of a sticky. It is white and taped to the front door. Yeah, I didn’t get anywhere near that close. I don’t think the realtor would know anything as it was sold. I did see in the records that the new buyer bought it for cash and pulled 60 thousand out of it. My guess is that the new buyer realized it will take alot of money fixing it up. Not sure. You said both small porches are off? Hmmm maybe they were in the process of replacing the floors. I just can’t see the buyer walking away when only owing 60 thousand on the place. I do also remember that one of the big columns looked like it was detaching. Doing work to the outside and putting heat in the masonic temple is where alot of money would be spent. Also updating the electric in the upstairs part of the temple. The electric was so old that it was located behind the stage and it was a huge switch box that u would pull down the lever and it would spark and turn all the lights on. If there is no activity there I wonder if it will be put back on the market. I will have to keep a close eye to see. Such a shame if it is true. 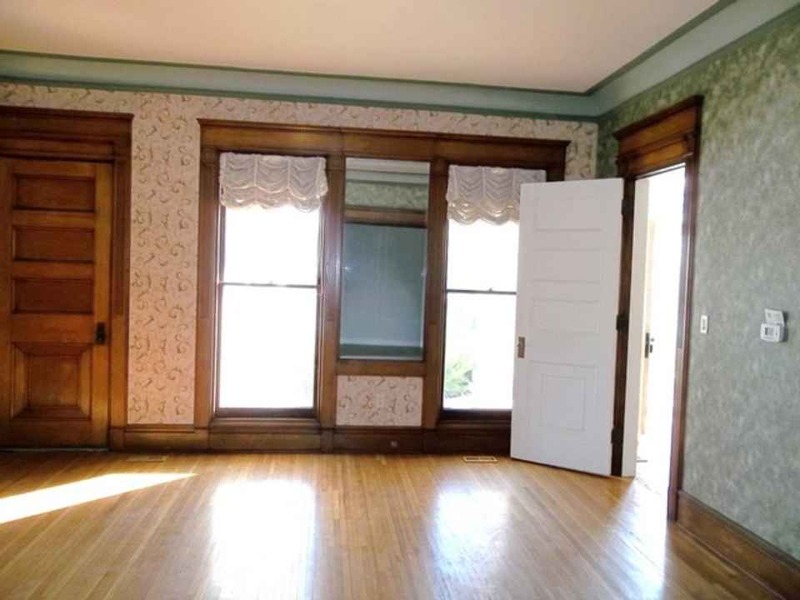 You always have to think double when it comes to an old house or building. Maybe the buyer bit off more than they could chew. Can someone take a pic and email it to me?? immortalpns2006@aol.com. Would be greatly appreciated. Thank you.